OUT TODAY ON BEATPORT: MENNIE – H.A.P.P.Y. 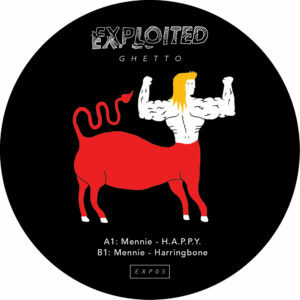 The honour of the first release on Exploited Ghetto was earned by our Italian friend Mennie. Having earned praise for his collaborative work with Bambook, his debut solo release for Exploited Ghetto featured a tune with airy synths, a layered, catchy percussive groove and mellow early hour vibes. Exploited Ghetto is the new sublabel from Berlin’s Exploited Rec.